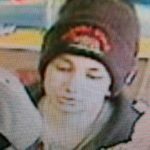 The Hollister Police Department is asking for the public’s help identifying the second of two suspects in a robbery from the Arco gas station on Gateway Drive. 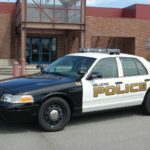 On Nov. 11, a little after 2:00 a.m., two males entered the Arco gas station at 301 Gateway Drive, and both approached the counter. One of the suspects produced a large knife and demanded money. The store’s clerk feared for her safety and handed over all of the money that was in the cash register. An extensive investigation including K-9 deployment was conducted but the suspects were not located that evening. 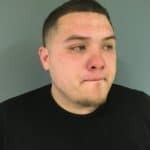 While conducting an investigation regarding another matter, officers were able to identify one of the suspects as Joshua Sandoval, 19, of Hollister. 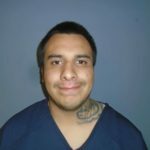 Sandoval was arrested and booked on the charge of armed robbery. The second male remains unidentified. He was described as a Hispanic male adult about 180 pounds with a thin mustache. He was said to be wearing a dark-colored hooded jacket. He is seen here wearing the 49ers beanie cap. 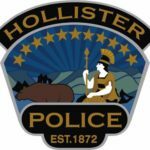 Anyone with information regarding this investigation is requested to contact the Hollister Police Department at (831) 636-4330. Persons wishing to remain anonymous may call WeTip at (800) 78-CRIME. Information provided to WeTip may qualify for a reward.